For every Hirst, Hockney and Kapoor there are a myriad of artists who never make it, maybe due to not having the right contacts, enough money or a foot in the door at the right time. But what if you could change that? Now in its second year, The Evening Standard’s Art Prize competition in association with Hiscox is offering £10,000 in cash, a lifetime National Art Pass and one year’s fine art insurance. For last year’s winner, HelenA Pritchard, the opportunity proved to be life-changing. The South-African artist had been making art with modest success for many years, but it wasn’t until she won the Art Prize that her career took off. In the last 12 months, she’s had several exhibitions, including a recent show at The Hospital Club in London’s Covent Garden. 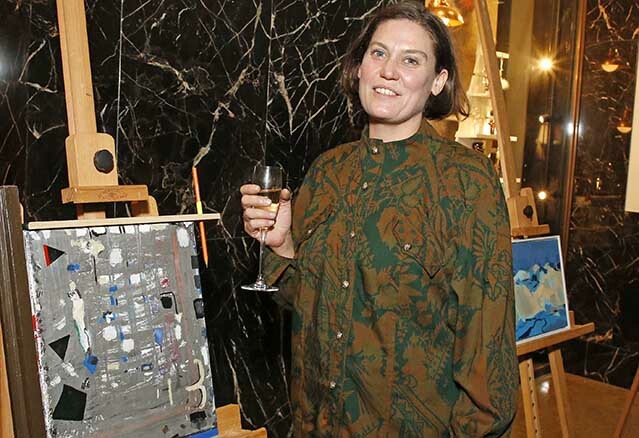 With entrants asked to create a work inspired by the word ‘London’, Pritchard’s To Make a Sculpture is an abstract painting that represents the ‘exciting city full of opportunity’ that she moved to more than 20 years ago. The judges have two criteria: first, has the artist successfully reflected the brief? Second, have they followed the rules – which are very simple? Paintings, drawings and sketches are all accepted, so long as they’re no larger than size A0 (841 x 1189 mm) … and that’s pretty much it. According to Thompson, the judges were determined to make the Art Prize as open as possible. ‘There are a lot of art competitions catered to established artists, like the Turner Prize,’ she says. ‘But breaking into the art world can be quite difficult.’ The solution was to make the competition completely free to enter, so that way it was accessible to everyone – no commission, no fee, no hassle.